Pack of 10 GB of video tutorials. 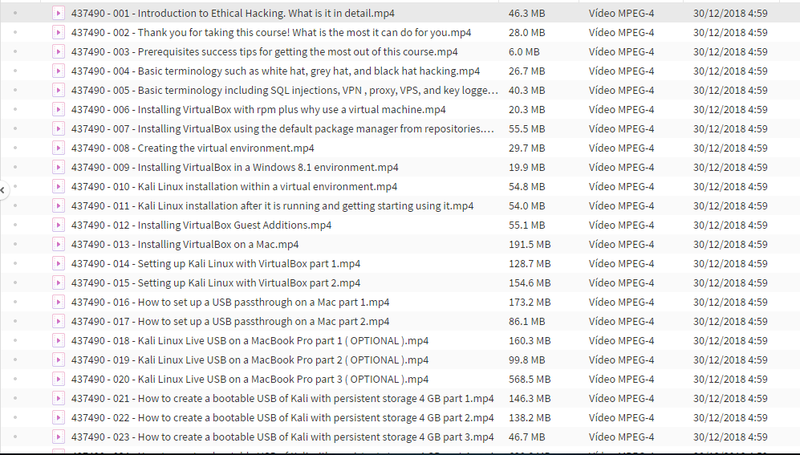 Covers all basics of Ethical Hacking And how to use all the tools used in Hacking You can see the index in the images. ━━━━━━━━━━━━━━━━━━━━━ You can download these books and guides for free if you are a PRIV8 user.